New iPhone to be unveiled tonight? | What Hi-Fi? New iPhone to be unveiled tonight? 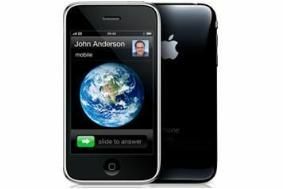 Rumours abound of a range of new iPhones, possibly including a nano iPhone, and the widely expected iPhone V3.0 software. According to the gadget gurus at our sister site Stuff.tv, the new iPhone could have a higher-resolution camera, video conferencing, turn-by-turn satellite navigation and more storage. Oh, and there's likely to be a new Mac operating system too, called Snow Leopard. The Apple Store site is down already, so clearly something is afoot. Stuff's Editor-in-Chief Tom Dunmore will be reporting live from the WWDC from around 5.30pm this evening, so we'll keep you up to date with the news as it breaks. And you can follow Tom's blog for a blow-by-blow account of Phil Schiller's keynote address.